Metal spinning, also known as spin forming or spinning or metal turning most commonly, is a metalworking process by which a disc or tube of metal is rotated at high speed and formed into an axially symmetric part. Spinning can be performed by hand or by a CNC lathe. Metal spinning does not involve removal of material, as in conventional wood or metal turning, but forming (moulding) of sheet material over an existing shape. 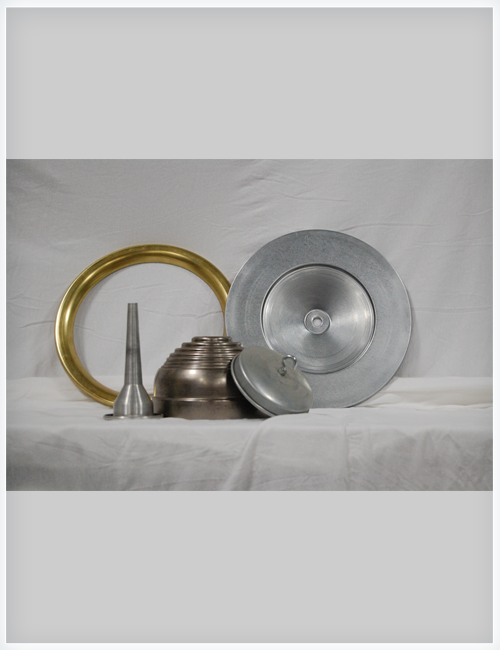 Metal spinning ranges from an artisan’s specialty to the most advantageous way to form round metal parts for commercial applications. 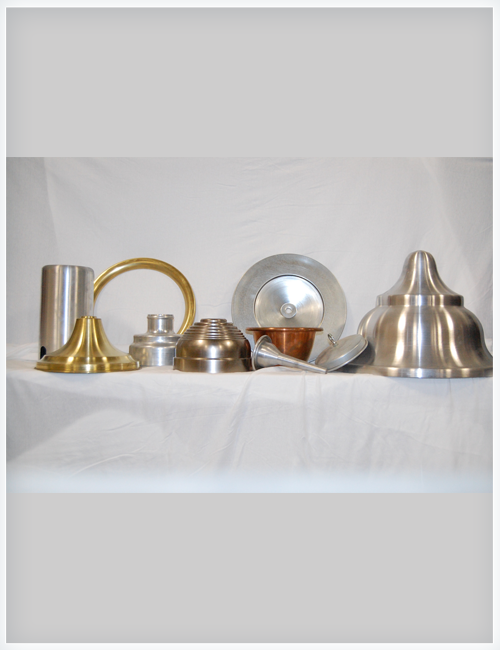 Artisans use the process to produce architectural detail, specialty lighting, decorative household goods and urns. Commercial applications include rocket nose cones, cookware, gas cylinders, brass instrument bells, and public waste receptacles. 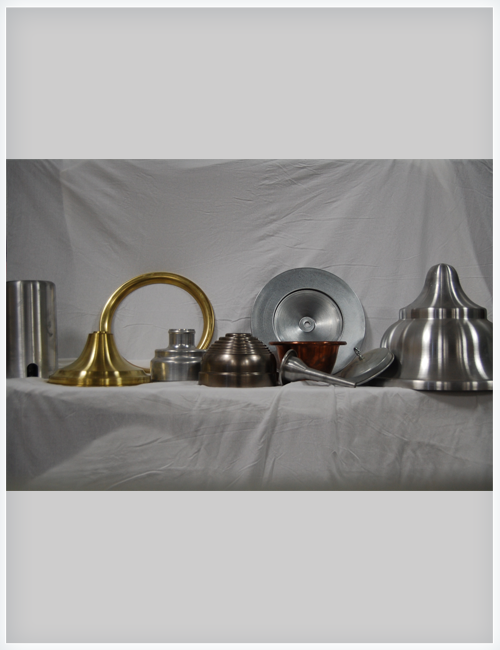 Virtually any ductile metal may be formed, from aluminum or stainless steel, to high-strength, high-temperature alloys. The diameter and depth of formed parts are limited only by the size of the equipment available.